Our Dean of Faculty of Built Environment & Surveying, Professor Dr. Mohd Hamdan Ahmad as an invited speaker at Green Talk with Construction organized by Zureli. 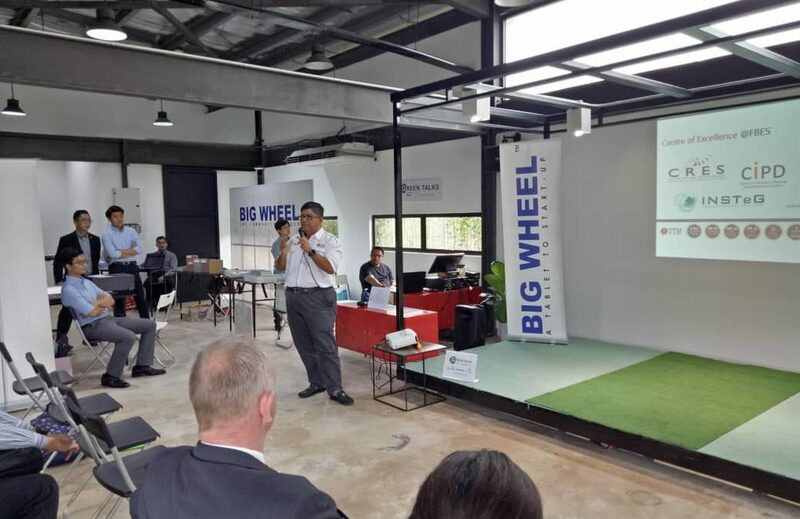 The talk held on 27th November 2018 at Big Wheel Seedbank, Sunway Iskandar, Iskandar Puteri. The programme is primarily about green products but more holistic by having an academic speaker to provide some vision/update cutting edge new technology /expertise /collaboration angle. About 5-6 suppliers will be presenting on their green products for built environment. There are about 60 participants..ie audience. They are Developers, construction companies, engineers, surveyors and architects and consultants. But they have some interest in Green Buildings.